Whether you’re planning on staying home or heading out with your partner, you’ll probably want to grab some flowers for them. Besides being aesthetically pleasing, the romantic act of giving them a flower bouquet is bound to score you some major points. 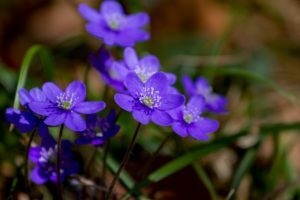 Impress your partner with some of these unique flowers, and show off your knowledge of their symbolic meanings! These blooms are known for their aromatic fragrance, which reminds us of our loved ones. This makes it a perfect gift for the special person in your life. Jasmines can be found at wedding ceremonies as it has a strong association with love and sensuality. For centuries, these are gifted by lovers and its symbolic meaning is something that has lasted till today. 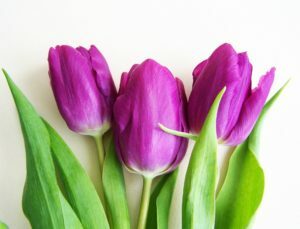 Tulips stand for eternal love. The elegant and distinctive blooms are one of the most popular flowers in the world. Conveying comfort and warmth to those who receive them, it is a great choice to spice up your bouquet, especially since they’re classic and pocket-friendly. This beautiful flower is simple yet elegant, its beautiful colours something to be appreciated. White lilacs symbolise youthful innocence and purity, while purple ones symbolize the first emotions of love. What better way to take a romantic walk down memory lane than with these lilacs? Achieve a sense of magnificence and artful splendour with this one! 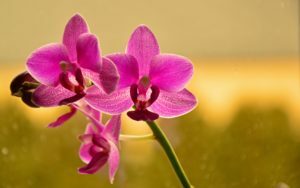 Orchids are one of the highly coveted ornamental plants. In Greece, it is seen as a mark of luxury, and a mark of rare and delicate beauty. Subtly compliment your partner with a few of these! Bring cheer to anyone’s day with some daffodils! Keep your affections fresh and ever-lasting with these flowers. Just remember to gift these in a bunch, not a single stalk. 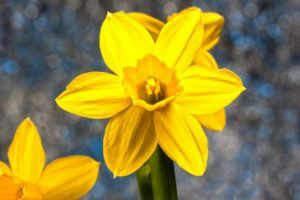 Legends warn that when daffodils are given alone, it may foretell misfortune. No one wants bad luck! With a rich history behind carnations, it comes as no surprise that each of its many colours has a different meaning attached to them. 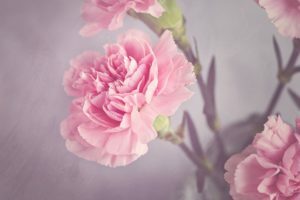 Show appreciation for your partner with a white carnation, red for admiration of their qualities and pink for pure love. With shades of blues and purples, this eye-catching flower is said to represent faithfulness and trustworthiness. A silent promise of staying with your partner through thick and thin! These may look delicate, but don’t underestimate the power of its symbolism! 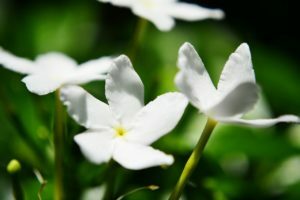 As well as representing undying love, these can also mean reconnection. Make a commitment with your partner to meet up more often with a bouquet filled with these. 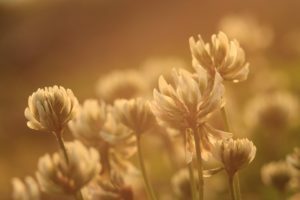 The clover flower is meant to remind someone of your affections. 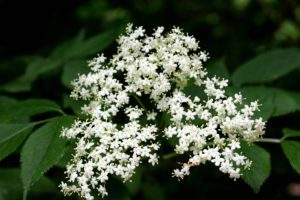 Seen as a sign of vitality, it is traditionally given as a good luck charm. A little good luck in any relationship never hurt! Bonus tip: This Valentine’s day, customize your own bouquet instead of purchasing pre-made ones. It will definitely be unique to you and your partner. What’s more, you even get to choose flowers whose meaning mirrors that of your relationship.